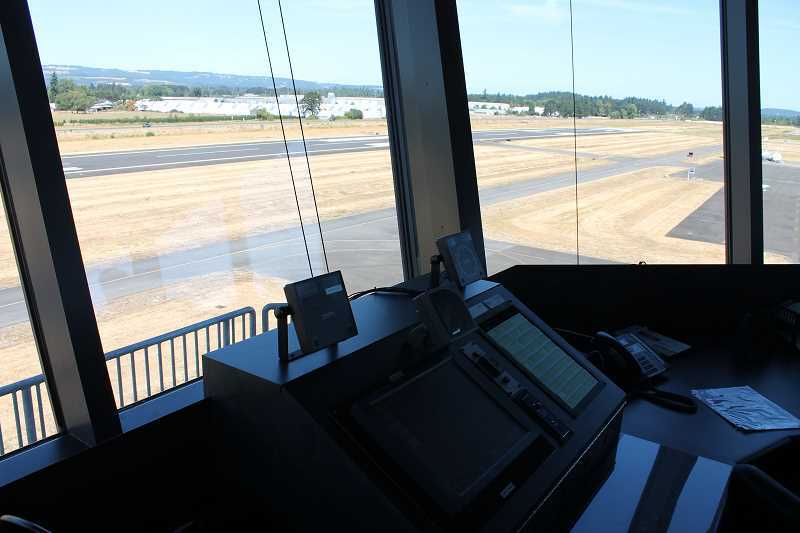 The Oregon Department of Aviation is once again pushing for funding to build an extension of the Aurora Airport runway and the City of Wilsonville is once again objecting to the effort. Wilsonville City Council expressed dissatisfaction with the ODA's intent to apply for a federal grant to fund a $33 million 997-foot runway extension and voted Monday, Aug. 6 to craft a letter to Governor Kate Brown, Senate President Peter Courtney and House Speaker Tina Kotek, rebuking the ODA's attempt to garner funding for the extension. The ADA hopes to increase the size of the runway in order to accommodate larger planes such as corporate jets, which some believe could spark economic development. Wilsonville officials hoped to include the support of Clackamas County and Salem in the letter but needed to scramble to send the letter before Aug. 8, which was when the ODA said it would deliver a preliminary grant request to qualify for funding. If the preliminary grant request is approved, the ODA would then need to apply for a final grant application by Sept. 1. The Federal Aviation Administration will issue grants nationwide with the additional $1 billion in airport funding from the Consolidated Appropriations Act of 2018. At the meeting, Wilsonville councilors advocated for a more transparent public process to determine if the extension is necessary. "I find it troubling to move a request like this when there is no Legislature in session to hold public hearings and no knowledge of public process, no outline of the process that would give a chance to weigh pros, cons, impacts and mitigations," Wilsonville Mayor Tim Knapp said at the City Council meeting. In addition to what it perceives as a lackluster public process, the City is also concerned about traffic issues that could be associated with development at the Aurora Airport, impacts on the agricultural economy and the quality of life of residents who live near the airport, according to Public Affairs Director Mark Ottenad. The extension would increase the length of the runway from 5,003 to 6,000 feet. "Unconstrained urbanization is a major cause of sprawl and traffic congestion. Another issue is quality of life," Ottenad said. "We are getting more complaints about overflight noise in particular." Ottenad said either Brown or the state Legislature's emergency board, which considers federal grant applications, could use their authority to block the grant. The ODA and a few state legislators previously pushed for a bill that would fund the airport extension but the bill stalled at the Legislature's February session.